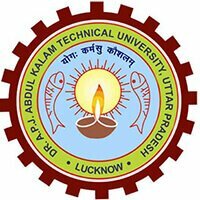 Dr. APJ Abdul Kalam Technical University (AKTU) has released the answer keys for the Uttar Pradesh State Entrance Examination (UPSEE) 2019. The answer keys for two papers - Paper I and II are available at the official website - www.upsee.nic.in. Candidates who have appeared for the UPSEE 2019 exam can download the answer key. The exam was conducted on 21st April 2019 at various centres across the state. These papers are conducted for admission to B.Tech., B.Tech. (Agricultural Engineering), B.Tech. (Bio-Technology), M.Tech. (Dual Degree), and MCA (Integrated). Go to the official website for UPSEE. Click on the answer key links on the home-page. Separate links are available for both the papers. After clicking the answer key link, the PDF file for answer key will open. The file also contains the question paper. You can download the answer key and take a print. Candidates can report their representation against the UPSEE 2019 answer keys at upseegrievance@aktu.ac.in. The representations/objections must be sent on or before 3rd May 2019. Suggested answer with supporting documents/explanation. As per the official UPSEE 2019 schedule, the result will be declared in the last week of May 2019. Candidates can check the result on the official website. The UPSEE 2019 result declared by AKTU shall be final. “However, the candidates can get his/her answer sheets scrutinized on payment of ₹ 5000/- per paper within seven days of declaration of result. The application for scrutiny may be submitted to the Registrar, Dr. A.P.J. Abdul Kalam Technical University Uttar Pradesh, Lucknow (U.P. ), 226031 in writing.” states the official website. The counselling process will begin from June-July. The exact counselling dates will be updated at the official website. The counselling process will be conducted online in three rounds. Seats will be allotted on the basis of candidate’s merit, preferences, and availability of seats. The spot counselling (if seats remain vacant) will be conducted in the last week of July 2019.